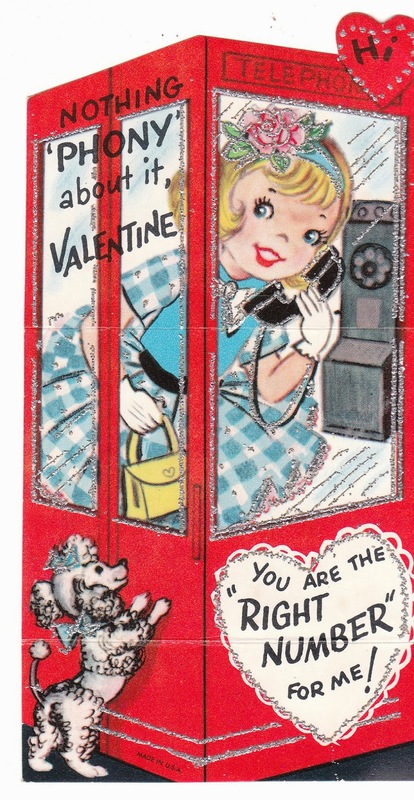 View from the Birdhouse: Ring, Ring ... Vintage Phone Valentines Calling! 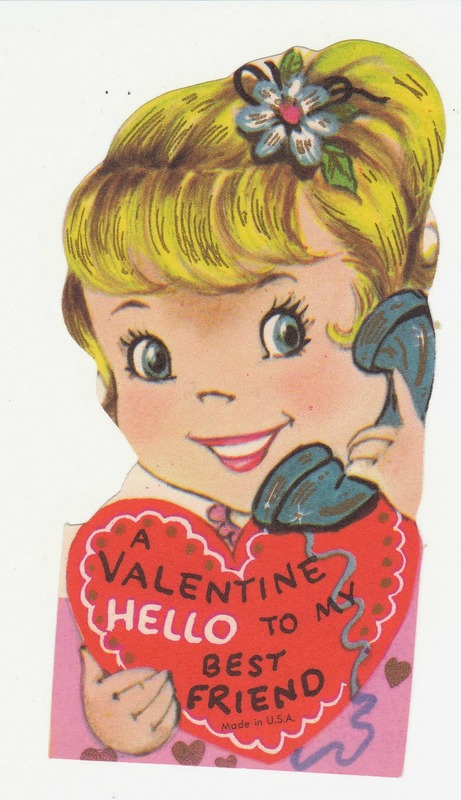 Ring, Ring ... Vintage Phone Valentines Calling! A girl talks in a phone booth, while her poodle dog waits patiently outside. Now, when was the last time you saw a phone booth?